High Wycombe outdoor Market trades through the semi pedestrianised area of the High Street. 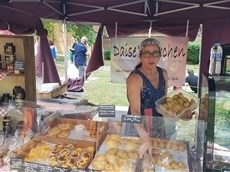 The Market is alive with regular traders selling a variety of products and wares. The Market is..
High Wycombe Market High Wycombe outdoor Market trades through the semi�pedestrianised area of the High Street. 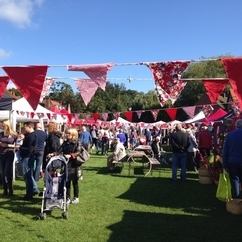 The Market is alive with regular traders selling a variety of products and wares.. 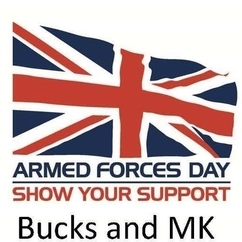 Bucks & Milton Keynes Armed Forces Day - A big family fun day for the local Armed Forces and their families and the General public. Free entry . 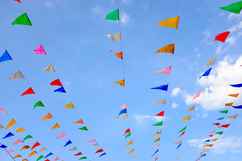 We are estimating 10,000 attendees on the day..
Market Square Group is very excited to be returning to Marlow, to host the Marlow Food and Drink Festival. 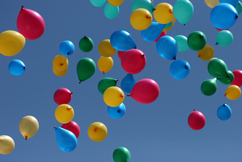 following a successful launch in 2018. 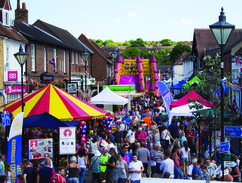 Located near the High Street, next to the River..
Princes Risborough Town Festival is an annual event, that is held in the beautiful surroundings of the Chilterns. 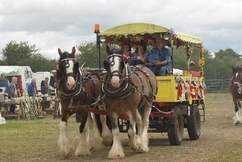 This is a free event that is aimed at bringing our wonderful community together..
Great Bucks (Shabbington Nr Thame) Steam and Country fair is a 2 day event and includes a craft Marquee showing a wide range of crafts. if you are interested in having a stall in the Craft..
Open from 12noon � 3.30pm with free admission Organised by Berkshire Wedding Fairs www.berkshireweddingfairs.co.uk info@berkshireweddingfairs.co.uk www.facebook.com/berkshireweddingfairs.co..
Open from 11am � 3pm with free admission Organised by Berkshire Wedding Fairs www.berkshireweddingfairs.co.uk info@berkshireweddingfairs.co.uk www.facebook.com/berkshireweddingfairs.co.uk 07708..